The PHQ-9 is one module of the larger Patient Health Questionnaire, an assessment that patients can complete to screen for mental health conditions. The PHQ-9 screens specifically for signs or symptoms of depression, and its nine short and simple questions are built on the criteria for depression that were identified in the Diagnostic and Statistical Manual of Mental Disorders, 4th edition (DSM-IV). For each statement, the person is asked how often they have experienced that issue in the last two weeks: not at all, several days, more than half of the days, or almost all of the days. This 10th question is answered if any of the above statements are answered with a "yes": How hard is it for you to do your work, take care of things at home, or get along with others? Answer choices are: not at all, somewhat difficult, very difficult or extremely difficult. The total score for the nine questions is added up and can range from 0 to 27. A score of greater than 20 indicates a major depression (severe) where a combination of antidepressant medication and psychotherapy (therapeutic counseling) would be indicated. Scoring between 15 and 19 indicates major depression (moderately severe), where either antidepressant medications or psychotherapy would likely be appropriate. Scoring between 10 and 14 suggests a range of possibilities between minor depression, dysthymia and major depression (mild). Indicated responses for this scoring range include an antidepressant medication or psychotherapy. For some people in this range, a response of watching and waiting may also be appropriate. A score between 5 and 9 indicates mild symptoms of depression which would require education about depression, directions to call if symptoms increase, and a re-evaluation in one month. The PHQ-9 is one section of the more comprehensive Patient Health Questionnaire. The Patient Health Questionnaire was designed by Robert L. Spitzer, Janet BW Williams, Kurt Kroenke, and their colleagues at Columbia University. It was developed in 2001 in order to help identify mental health issues such as depression and anxiety that may be causing or increasing some physical health concerns. Multiple research studies have evaluated the reliability (consistency) and validity (accuracy) of the PHQ-9. The results have repeatedly demonstrated that the PHQ-9 is an effective way to measure depression. Studies have verified that the PHQ-9 accurately identifies the presence of depression, as well as measures the severity of depression. Populations that were studied to evaluate the PHQ-9's effectiveness include women at a general internal medicine clinic, patients at a family practice, and women at an obstetrics clinic, as well as in individuals with epilepsy, migraines, diabetes, coronary heart disease, spinal cord injuries, multiple sclerosis, cancer, cognitive impairment, HIV and glaucoma, to name a few. The PHQ-9 has also been studied across the ages of adolescents, middle-aged adults, and older adults. Some studies have also looked at how well the PHQ-9 detects and measures depression in other languages, countries, and cultures, including Spanish and British sign language, as well as rural China, Nepal, Japan, Germany and Uganda. Research results have demonstrated that the PHQ-9 is an accurate measure of depression across several languages, countries, and cultures. Additionally, one study found that the PHQ-9 can be administered over the phone and will provide fairly accurate results. This may be beneficial in following up with people who are unable or unwilling to come to an onsite appointment. The PHQ-9 is an assessment that is often included as part of a more comprehensive assessment. For example, it is a required quarterly test as part of the Minimum Data Set that the Centers for Medicare and Medicaid require for all nursing home residents. The PHQ-9 is a typical test included in a standard physical exam conducted by a primary care physician to help in assessing the patient. It may also be part of a complete psychiatric screening process that evaluates all areas of mental health. Why Is Evaluating Depression so Important? Depression can manifest itself in several ways. In addition to the typical sadness and hopeless feelings it can create, depression also can contribute to many physical symptoms that drive people to seek medical care. It's important to identify the root cause of the physical complaints, and while many times, there is a medical reason for the symptoms that are present, at other times, those symptoms are more related to a mental health condition, such as depression or anxiety. Correctly identifying these factors leads to more effective treatment. Depression is one of the more treatable mental health conditions, either with psychotherapy (counseling), medications (antidepressants), or a combination of both. 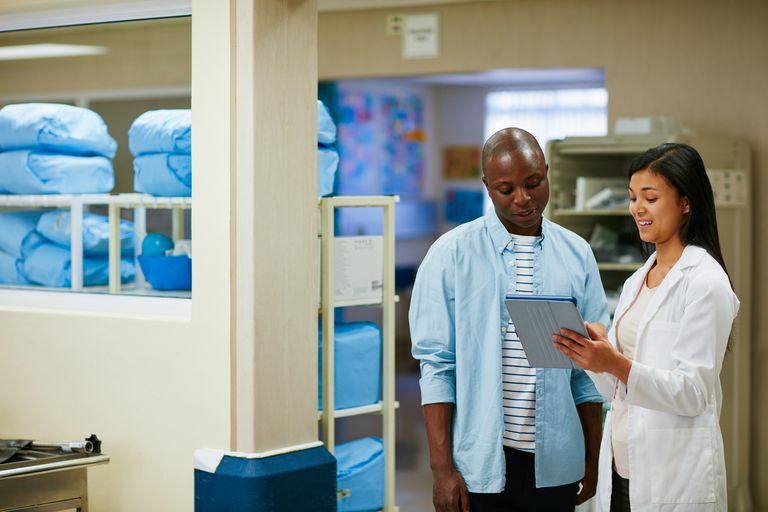 Healthcare professionals are providing quality care to their patients when they adequately address the whole person, including the mental health component. Treating an underlying (or overt) depression can improve quality of life, as well as potentially save financial resources that may be incorrectly directed towards treating physical issues instead of mental health concerns. The PHQ-9 is a test that can be self-administered. It's short, taking just a couple of minutes to complete. It's free, and it's been shown to be effective in multiple settings and situations. It also does not require significant training to administer or score, making it a simple and effective way to evaluate depression. Identifying depression is an important step in effectively treating the whole person. The PHQ-9 is an accurate measure of depression, accomplishing this task both quickly and easily. Center for Quality Assessment & Improvement in Mental Health. The Patient Health Questionnaire (PHQ-9) - Overview. Farzanfar R, Hereen T, Fava J, Davis J, Vachon L, Friedman R. Psychometric Properties of an Automated Telephone-Based PHQ-9.Telemedicine Journal and e-Health. 2014;20(2):115-121. doi:10.1089/tmj.2013.0158. Kroenke K, Spitzer RL, Williams JBW. The PHQ-9: Validity of a Brief Depression Severity Measure.Journal of General Internal Medicine. 2001;16(9):606-613. doi:10.1046/j.1525-1497.2001.016009606.x. Muñoz-Navarro R, Cano-Vindel A, Medrano LA, et al. Utility of the PHQ-9 to identify major depressive disorder in adult patients in Spanish primary care centres.BMC Psychiatry. 2017;17:291. doi:10.1186/s12888-017-1450-8. University of Washington. AIMS Center. PHQ-9 Depression Scale. Can Artificial Intelligence Help With Depression? What Happens When You're Hospitalized for Depression?